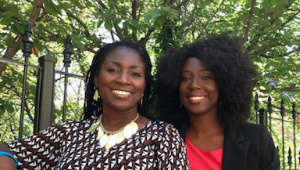 Tamu Smith and friend Zandra Vranes are co-hosts of the blog and radio show, Sistas In Zion. The pair met through the Genesis Group, became friends, and started their blog in 2009 as a way to keep in contact with each other when they no longer lived in the same state. They shied away from personal posts, and instead wrote about their shared religion as Sista Beehive and Sista Laurel. Smith and her husband are the parents of six children and live in Utah. This page was last edited on 14 September 2017, at 16:05.